After Gawker posted a list of schools where students have the most debt (NYU is #1), our friends at Wesleying came up with their own list for liberal arts schools (which weren't big enough to make it on Gawker's list of schools with "total debt"). 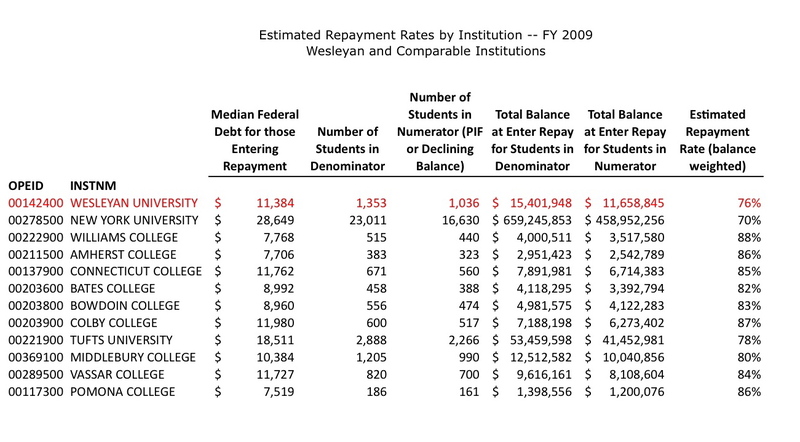 Wesleying broke it down by debt per student and compared Wesleyan with schools like Vassar, Amherst, Middlebury, and others. 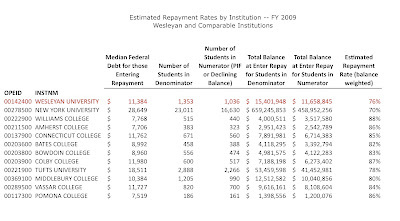 According to the chart, the "Median Federal Debt for Those Entering Repayment" for Vassar students is $11,272. This is higher than that of students at Wesleyan, Amherst, Williams, Bates, and others, but far less than for students at Tufts ($18,511) and NYU (a whopping $28,649). 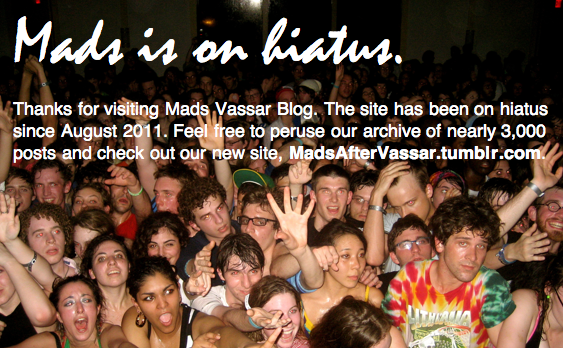 Vassar students' "Estimated Repayment Rate" is 84%, which falls at about the middle of the list.